It seems as though Advent has just flown by, doesn't it? Even more so, because everywhere we look, there are Christmas ads and Christmas sales. Radio stations are playing Christmas music, every store has Chriatmas decorations, and our email inboxes are loaded with Christmas promotions. In addition, I've noticed this is beginning earlier and earlier every year. This year was the first time that stores were open for Black Friday on Thanksgiving. Now don't get me wrong, I believe in a free country where we can shop whenever we'd like, and if you went shopping on Black Friday to take advantage of some great deals, I commend your thriftiness. We have to be aware though, of what our culture is trying to do. Our culture right now has a desire to take advantage of our material desires and need for instant gratification for the sake of our money. The best way for them to do so is to lure us away from our families and our faith in order to distract us. Some of you might think this is a little too intense, but take a look at Black Friday this year, with many people leaving a day of spending time with their family to buy gifts for themselves. It's as if Christmas has been replaced with Black Friday. It's as if the desire for instant gratification, for Christmas to "be now", to "get things now," has replaced the season of waiting. Where has Advent gone? Once again, I'm not saying there's anything wrong with shopping on Black Friday for some great deals, or listening to Christmas music before Christmas, but we need to be aware of the danger. Our culture has created a "secular Christmas," which has nothing to do with the birth of our Savior. It is completely focused on taking advantage of consumerism. It's important to be aware that we don't let the "secular Christmas" distract us from the "real Christmas," from Christ Himself. The only way we can keep our gaze fixed on our Savior, who is coming, is through the foundation of prayer. As we approach Christmas, let's increase our prayer more and more. So much of our life is lived within the tension of Advent, knowing that our Savior came 2000 years ago, but knowing He will come again. This tension is lived out in our hearts as well. For many of use, we've come to believe in Jesus, yet we can still grow to know and love Him more. We need to continually ask our Lord to "Come!" and the best way is through prayer and the Sacraments. We join with the cry of Israel, who struggled with the temptations of many different idols, to free us from the chains of material desires so we can live in the freedom of life with our Savior, Jesus Himself. As a suggestion for prayer, I encourage you to check out the "O Antiphons," which are the Antiphons used at Vespers the seven days leading up to Christmas. They've been prayed by our Church since the 8th century, and they are actually the basis for the verses of the Advent hymn "O Come, O Come, Emmanuel." 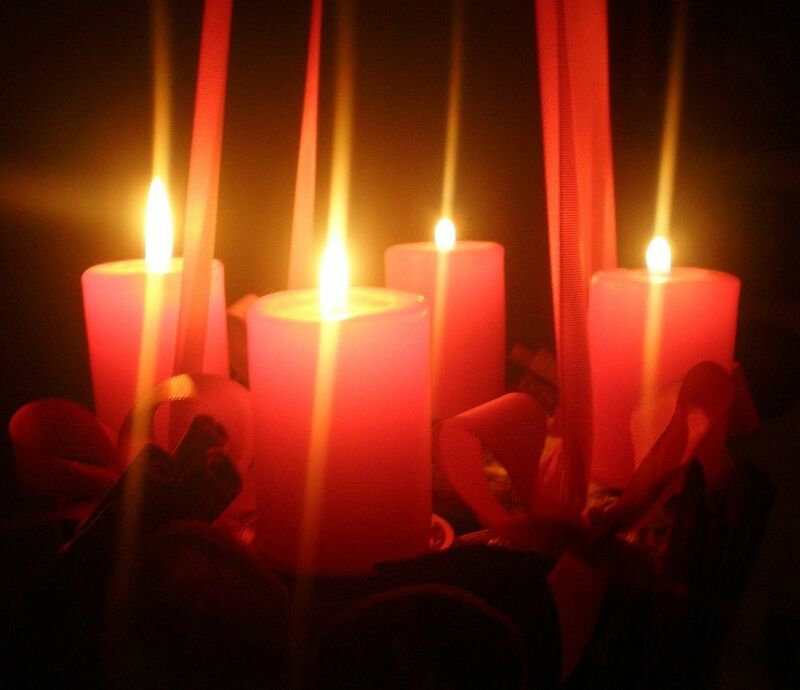 For this reason, and also that the refrain echoes the entrance antiphon of the Third Sunday of Advent with "Rejoice! ", I encourage music ministers to save "O Come, O Come, Emmanuel" for the Third and Fourth Sundays of Advent (and have been taught to do so by the Dominicans). When we think of Christmas, we have a strong sense of musical tradition, but I think we've lost this musical tradition for Advent, which is another reason for a loss of an overall sense of Advent. The antiphons during this time are a beautiful way to open our hearts to our Savior, as are hymns like Conditor Alme Siderum (Creator of the Stars of Night), which I've included below. Come, Lord Jesus! What Should We Sing at Mass?